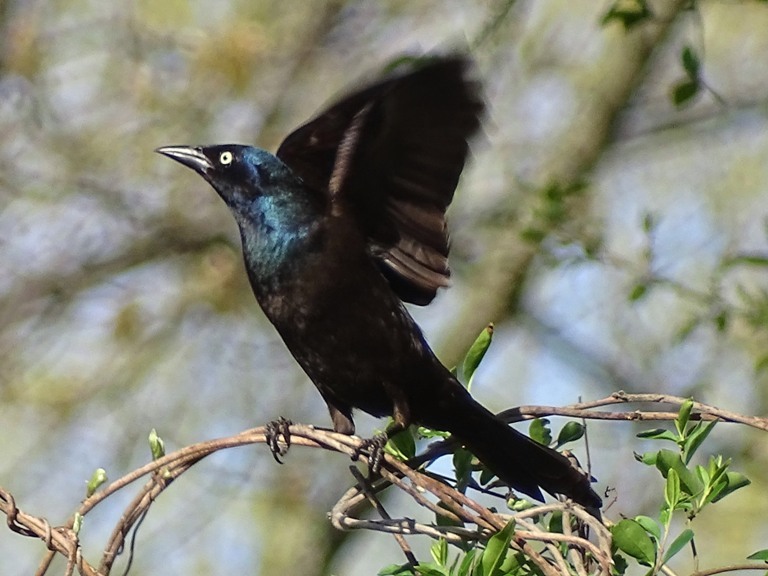 A common grackle taking flight. This adult male grackle was foraging for food amongst the needles of a cypress tree. His shiny black plumage took on a glossy-iridescence when struck by the bright sunlight. 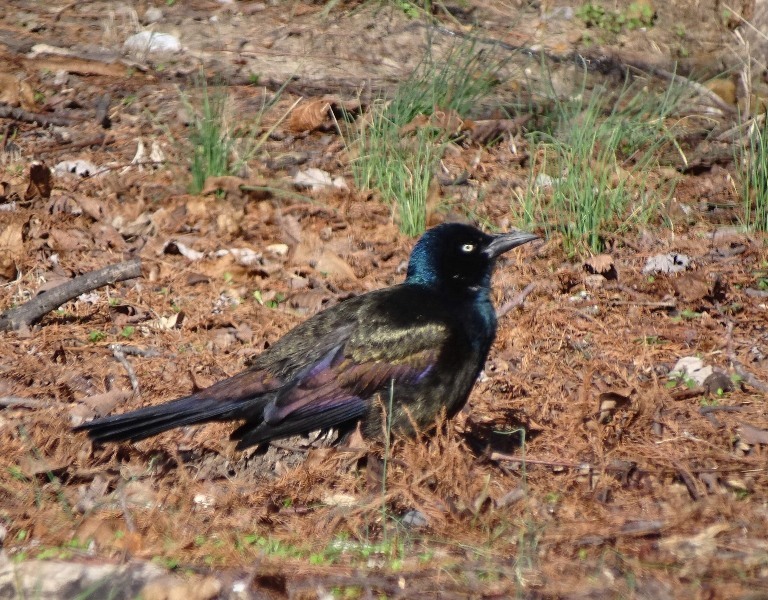 One day, as I was sitting out in the backyard enjoying the solitude of nature, I became aware of a small group of grackles sitting up high in a pine tree bantering back and forth to one another. Though I wasn’t sure the gist of their conversation, the pleasant exchanges seemed to be in harmony with the peacefulness of the morning.